In our recent article, “Huge Economic ‘Blind Spot’ that May Damage the Dollar and Crash the U.S. Economy”, we explored what that blind spot is. Now it’s time to examine the world events surrounding it, and the potential of that news. Our first stop is Iran. 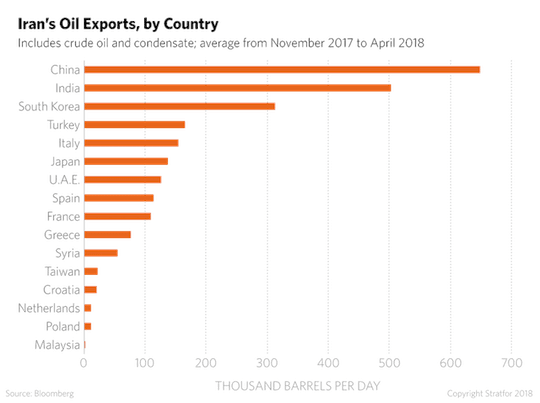 Recent trade sanctions against Iran might be the last straw for other countries who’ve tolerated U.S. protectionist policies that maintain the dollar’s dominance as central reserve currency. Secretary of State (and former CIA director) Mike Pompeo has already stated the U.S. intends to “crush Iran” with trade sanctions. The US will do this by using “unprecedented” financial pressure, working with partners, advocating for the Iranian people, and using the military, Pompeo said. While there are other costly objectives for this financial pressure, the use of these trade sanctions is likely to have specific economic consequences. In order to get payment for oil and send payment for machinery imports, Iran normally uses the dominant currency, which is the U.S. dollar. But if the U.S. puts this “unprecedented” financial pressure on Iran via trade sanctions, Iran is not just going to sit and do nothing. They will likely do what it takes to get what they have to. In the past, they had a challenging time doing this. But now China and Iran are in a better position to settle their transactions using a gold system for payment. This move may set the stage for these countries to continue building an alternative payment system. With limited output, limited western sales, and huge eastern purchases, it’s only a matter of time before a link in the physical gold delivery chain snaps and a full-scale buying panic erupts. Then the price of gold will soar regardless of paper gold manipulations. Meanwhile, Fed tightening combined with weak growth will push the U.S. economy to the brink of recession later this year. Since then, Iran has continued to skirt U.S. sanctions through convoluted schemes. One recent case involved a Turkish-Iranian gold trader that may have allowed Iran to launder as much as $1 billion between 2012 and 2016. But Iran isn’t the only country with an interest in removing the U.S. dollar from power by leveraging gold. 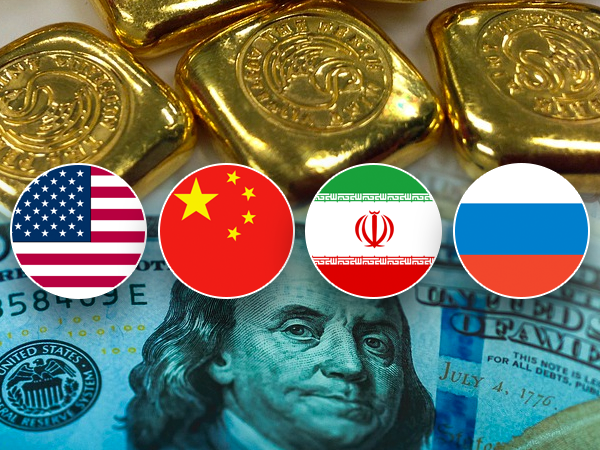 China appears to be on board with using gold to pay for Iranian oil exports. After all, Iran needs hard currency, and China needs oil. On a limited basis, the yuan can be used to complete these transactions. But as David Chapman over at Born2Invest explains, gold has been proposed as an alternative payment method. This is to dilute the power of the dollar in global trade. Gold-backed payment methods are attractive to other countries as well. Plus, as we’ve reported before, China recently unleashed the Petroyuan, which is also backed by gold. Then there’s Russia. The ruble is declining, and Russia’s expenditures are at historic highs. But their chosen solution is gold, and it’s right in their backyard. They mine 200 tons of it per year, which makes them the 3rd largest producer of gold. That, and their Central Bank keeps stockpiling it at home. So if Russia wanted to help exploit this economic blind spot, they could. While it’s a long shot that requires an extreme monetary reset, Jim Rickards believes that it’s still possible that gold could see $10,000 an ounce (long-term). In the near term, declining mining output and “peak gold” conditions are revealing the possibility of gold values rising past $1,600 an oz. by early 2019. Even Mr. Rickards thinks the near-term future for gold could see $1,400 an oz. within the next few months. Combine “peak gold” and the added demand for gold created by the U.S. economic protectionism, and the picture becomes clear. Gold is entering a rising trend that has the potential to mimic the 2001-2011 rise, as the markets correct themselves again. That trend may be starting this year.